Credit card payments are easy. 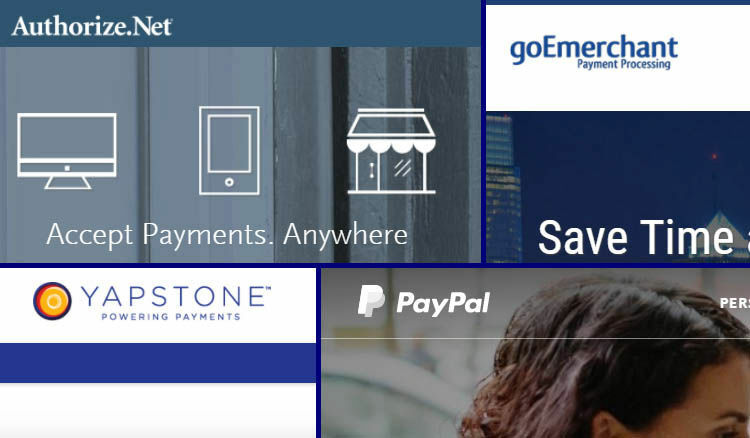 Select from a variety of processors we work with - Authorize.net, Yapstone, Paypal, and more. 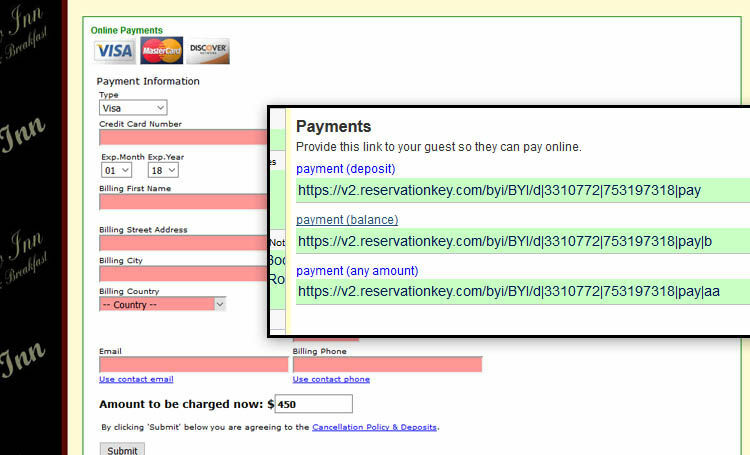 Simply click “Charge card” to add a payment, from within the Reservation Details screen. 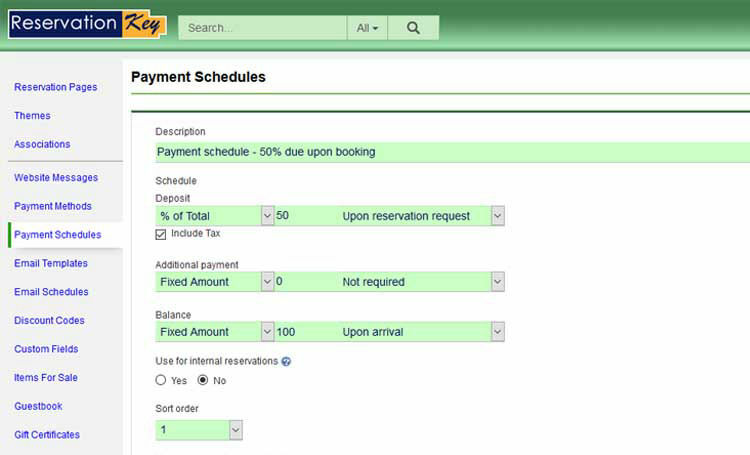 Flexible configuration of how much, if any, to charge as a deposit. 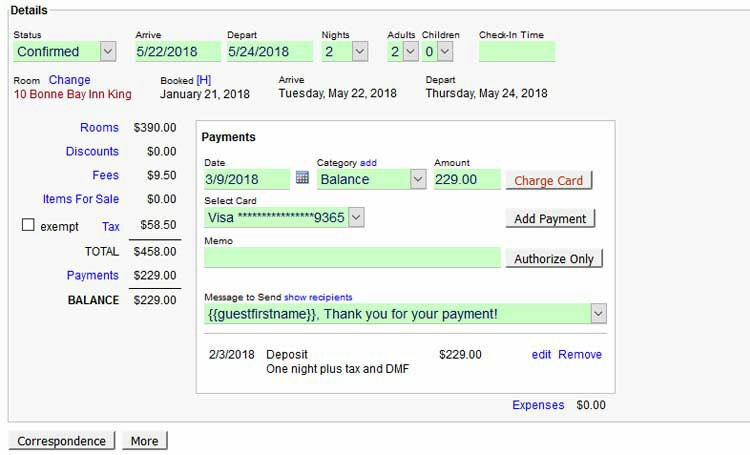 Create email templates with custom links sent in an email to guests for paying deposits, balances, or any amount you wish.